I snuck some time last week and got this finished. 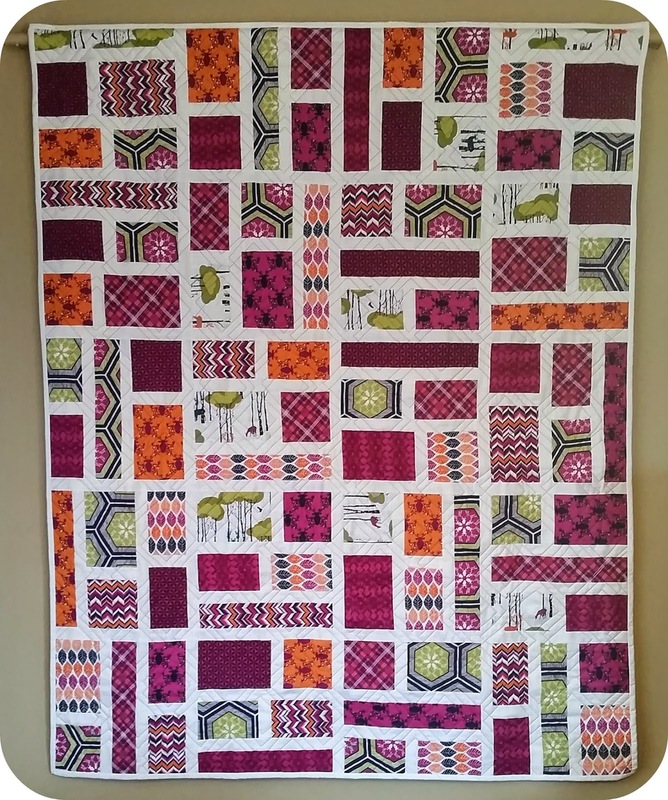 I love this quilt so much!! 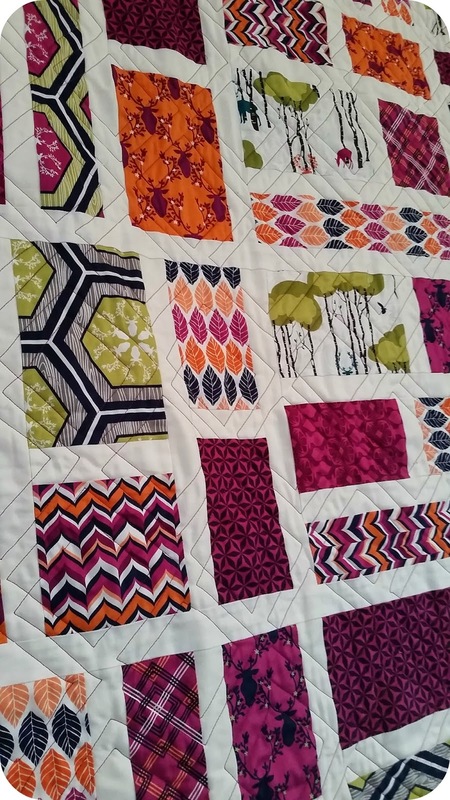 I went with a fun diamond pattern for the quilting and a vivid purple thread to punch it up a notch. I have to admit that I rushed the quilting and it's not nearly as good as what I would have liked but I'm going to learn to live with it. 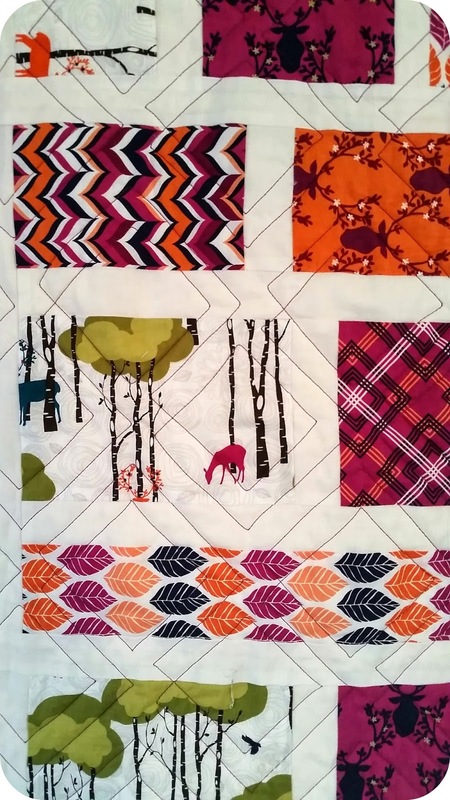 I love the fabrics, I love the design, I love the quilting and the thread, in fact, to sum it up, I quite like this quilt.